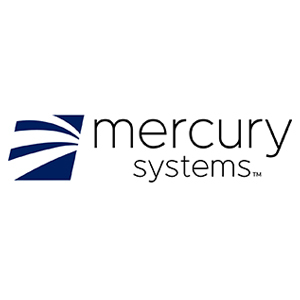 Mercury Systems, Inc. announced it received a $5.7 million follow-on order from a leading defense prime contractor for ultra-compact, high-speed memory devices featuring BuiltSECURE™ technology. The devices will be integrated into the advanced electronically scanned array (AESA) radar system of a tactical airborne platform. The order was booked in the Company’s fiscal 2018 third quarter and is expected to be shipped over the next several quarters. The Company has successfully commercialized an entire suite of SWaP-optimized memory devices, including the defense industry’s only military-grade fourth-generation double date rate (DDR4) memory device. Designed and manufactured in the Company's Defense Microelectronics Activity (DMEA)-accredited facility in Phoenix, Ariz., Mercury’s digital microelectronics portfolio also includes secure solid-state storage (SSD), selective availability anti-spoofing modules (SAASM) and customized BuiltSECURE system-in-package devices integrating processors, memory, sensors and the industry’s most advanced security architectures.